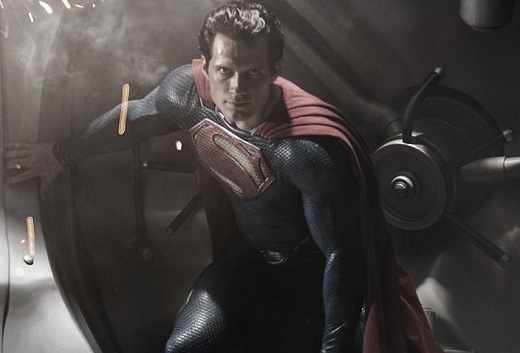 It takes a certain calibre of actor to play Superman, The Man of Steel, the most powerful SuperHero in the universe, those are some pretty big red boots that need to be filled, that’s where Henry Cavill comes in. Prior to landing the role of Superman Cavill was no stranger to hard work and punishing workout schedules, fresh off the set of the latest blockbuster Immortals, in which he played Theseus who is chosen by Zeus and the gods of Olympus to lead the mortals against King Hyperion (while slaying a Minotaur in the process). For the role of Theseus Cavill got into incredible shape under direction of trainer Mark Twight, who devised the gruelling workout routines for the team on 300, but the role of Superman requires Henry to change his routines to give himself a different shape, while Theseus is muscular he is more nimble and agile whereas Superman is going to be more about raw power. Henry Cavill has teamed up with Twight once again to get him in shape to play the man of steel and as Cavill refuses to use CGI to enhance any parts of his physique on screen they both had a tough task ahead of them, with Cavill pushing his body to its limits in order take on a believable shape for Superman, the most iconic and powerful Superhero to come to the big screen. If you hadn’t get guessed by the name Henry Cavill’s ‘Superman Workout’ is a super intense regime that isn’t for the faint hearted, consisting of 2.5 hours of training every day. In order to get in Super human shape for the man of Steel Cavill’s routine consisted of a varied range of intense workouts that combined heavy weight lifting sessions to build bulk and muscle and punishing cardio sessions to rip down and burn excess fat. Dead Lifts – Compound exercises like dead lifts work multiple muscle groups and joint movements in one exercise, perfect for bulking up and burning fat. Perform the following circuit with no rest between exercises, move from one exercise to the next seamlessly, once you have completed 1 set rest for 30 seconds and repeat for 5 – 8 sets. Try and perform the number of reps specified for each exercise or if you are struggling do as many reps as you can for 30 seconds before moving onto the next. In order to bulk up and rip down to play Superman Henry Cavill’s diet consists of 5000 calories a day (that’s double the recommended daily calories for the every day man). Cavill”s Superman diet consists mainly of protein that he eats first which is then followed up with a small amount of carbohydrates to keep the energy levels up. Rather than 3 large meals a day split meals into smaller more manageable meal sizes that can be consumed consistently throughout the day and aim to eat at least every three hours.